It’s November, but the snow has already covered the path ahead, in another month no one will be able to pass. 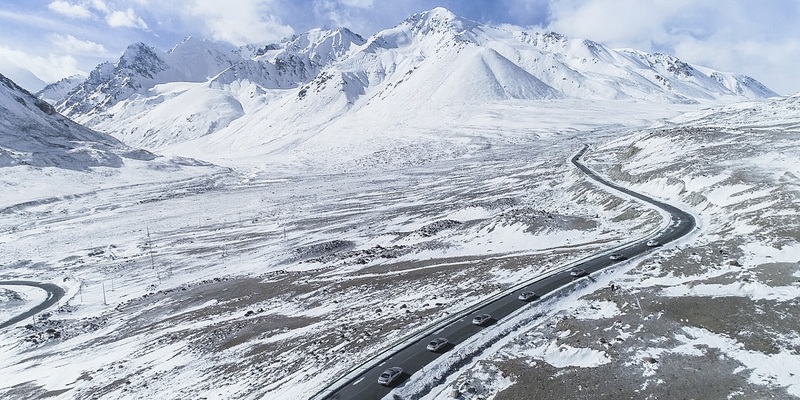 The Karakoram Highway, built on top of the ancient Silk Road, connecting Pakistan with China, traverses through glaciers and some of the world’s highest peaks. 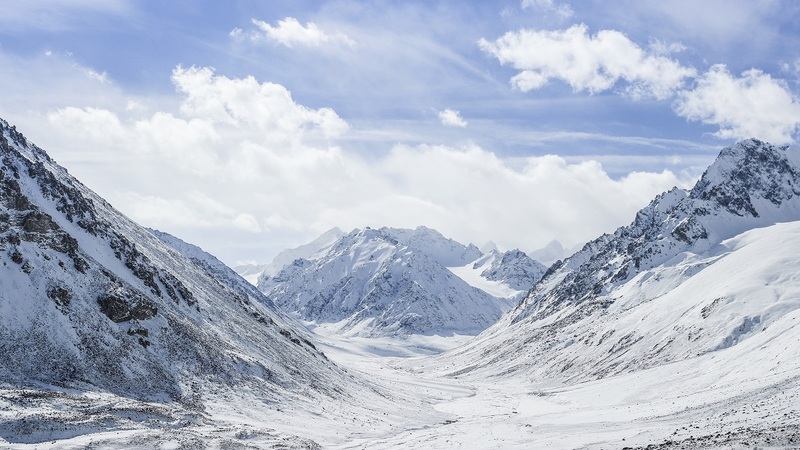 Half of the year, starting in the winter, dangerous conditions including landslides, heavy snow, frozen roads, and extremely low temperatures prevent the road from opening. 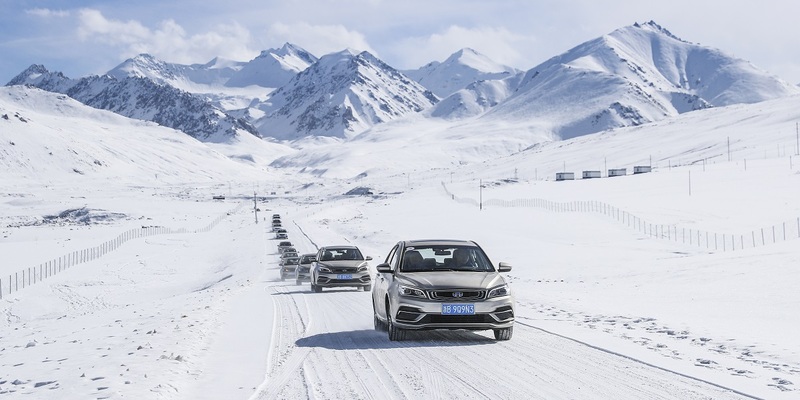 Late autumn, just before the road is scheduled to close is probably the most treacherous time one can legally drive on the highway, but one convoy of cars can be seen, a convoy of Geely New Emgrands. Since its launch onto the market nine years ago, the Emgrand sedan has always been a challenger. Challenging the monopoly that foreign brands had in the compact sedan market in China, challenging the notion that value focused cars can’t be good cars, challenging the preconception that Chinese cars aren’t well made. 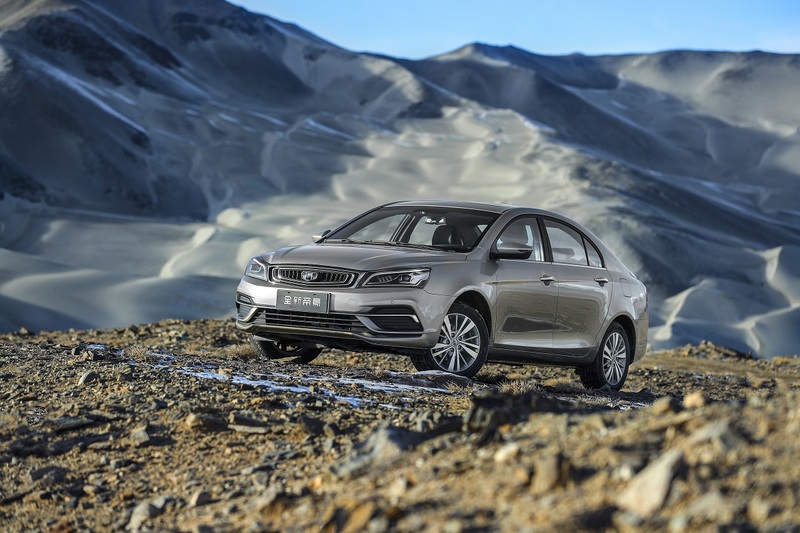 With more than 1.7 million sold since it launch, becoming the best-selling Chinese compact sedan, the Emgrand has proven itself a reliable quality vehicle. 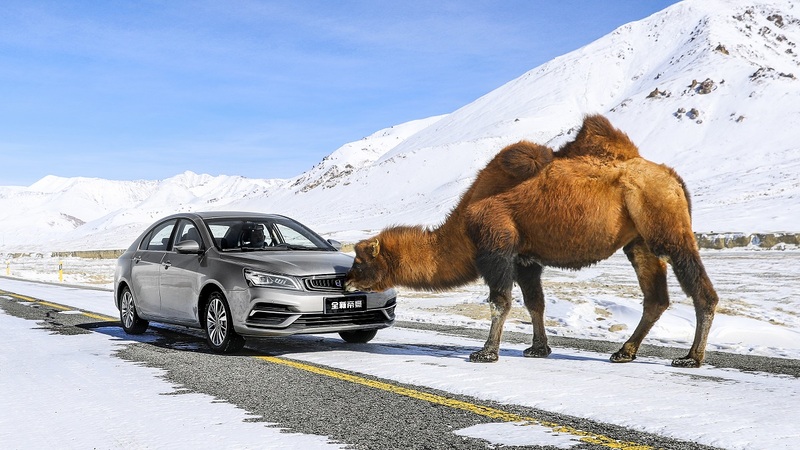 It has become a legend among Geely models, spawning several new models with its namesake. 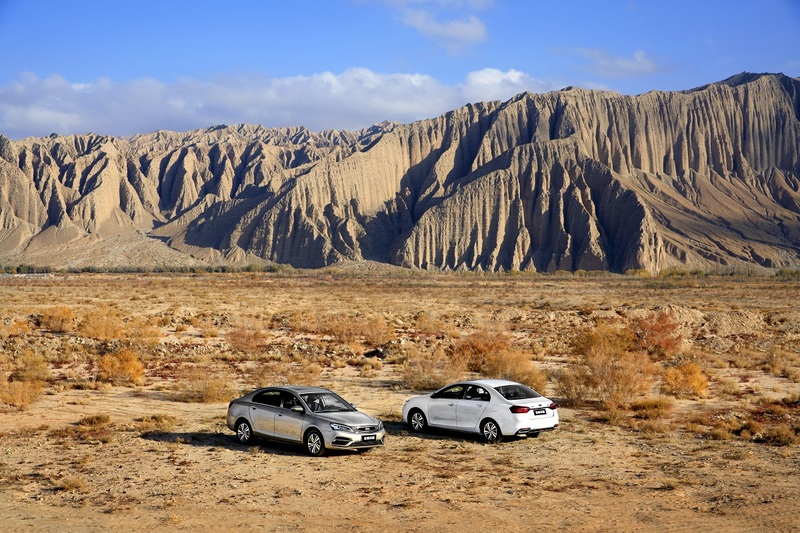 A popular car in the cities, we’ve taken it far from regular roads it’s used to seeing to one of the world’s most scenic and at the same time most treacherous road, the Karakoram Highway. 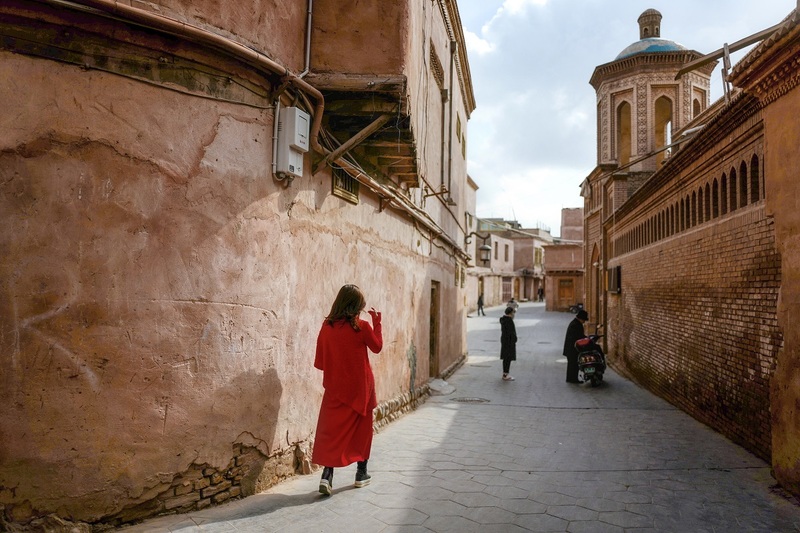 The journey started pleasantly enough in the famed Silk Road outpost built atop an oasis, Kashgar. The warm autumn sun shining upon the red earthen walls and stone paved streets gives no hint of what to expect on a trip along the world’s highest paved road. 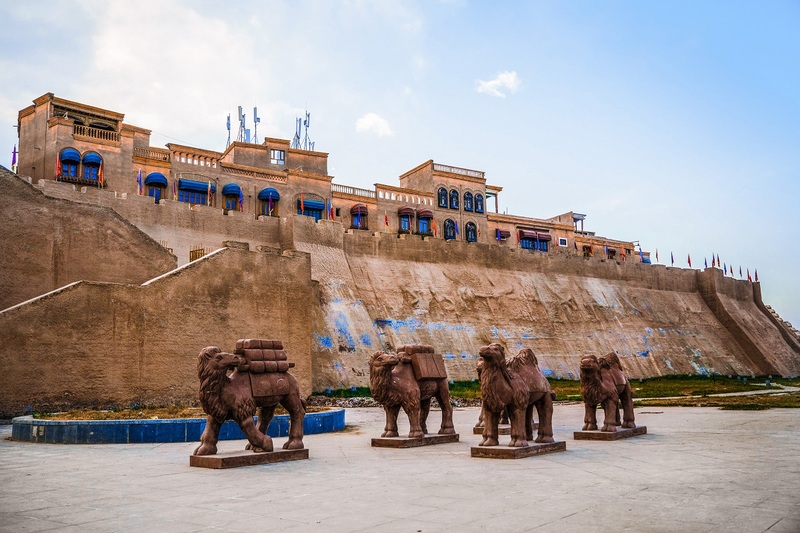 The land around Kashgar is relatively flat and at only 1300 meters above sea level, the air is thin but not hard to adapt to. Equipped with a 1.5L naturally aspirated engine and matched with an automatic CVT continuously variable transmission, our Emgrands smoothly accelerated towards the mountains in the distance. A comfortable start, but the real test is yet to come. 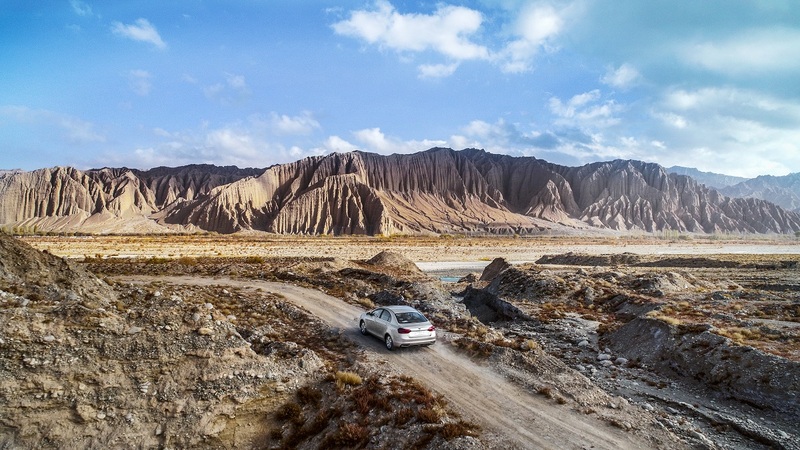 A short two hours into our journey, we reach the majestic Oytagh Red Mountains, nicknamed the “Southern Flaming Mountains.” Under the blue skies and white clouds, red peaks rise up like a dancing wall of fire. Stunned at the sublime sight before us, we go off-road to stop and admire the view. Getting close to nature we notice we’ve entered an environment more befitting travel by horse or more likely than not in this region by camel. At times the road becomes less distinct, covered by sand, dirt, and snow, shared with the local inhabitants of cows and camels, we wonder if we’re going the right way. Trusting our navigation system on the voice controlled central control panel we drive on. 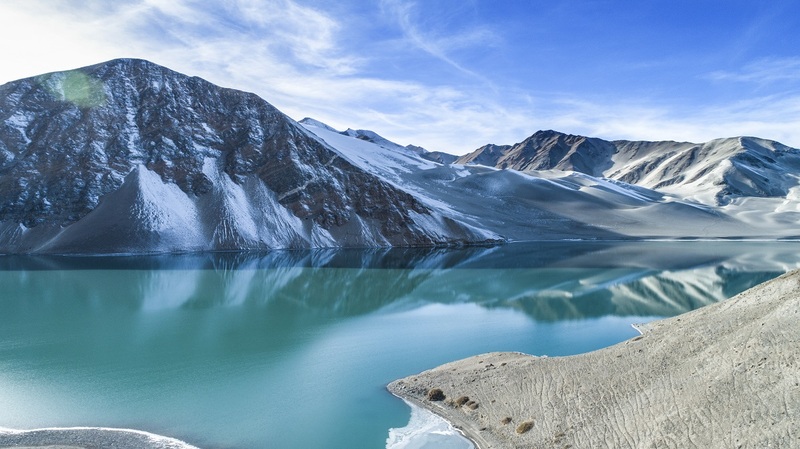 Passing the beautiful Karakul Lake we head up into the Muztagh Mountains, which is known locally as the “father of glaciers” in the Karakoram Range. Rising from 1300 meters to as high as 5200 meters above sea level, the air thins, but the golden powertrain combination in the Emgrand continues performing admirably as if nothing has changed. On these winding mountain roads, the Emgrand’s EPS electronic power steering and ProDrive optimized chassis is worthy of praise, with just a light touch, the vehicle quickly responds while maintaining stable control. Although the road conditions continue deteriorating the further we go we’ve encountered no issues, no obvious slippage, loss of control, or idling, thanks to the wealth of driver assist systems including ESC electronic stability control, HAC hill assist control, TCS traction control system, TPMS tire temperature and pressure monitoring system, etc. After two days of driving, we close in on our destination, the world’s highest international road border crossing, Hongqi Lahu. This may not have been the longest road trip, but it certainly tested our mettle and that of the Emgrand. But even in complicated and dangerous sections of the road, the Emgrand was stable and reliable. We can see why even after nine years of sales with over 1.7 million units sold, the Emgrand continues to be one of the best-selling compact sedans and the only Chinese model to be a top-ten selling sedan. Continuous upgrades and facelifts may have allowed the model to stay relevant but after our experience, we know it is the Emgrand’s excellent reliability and rich configuration that has made it a legend amongst cars in the market.